What was once a separate species has been lumped into the general name for this popular shrub. 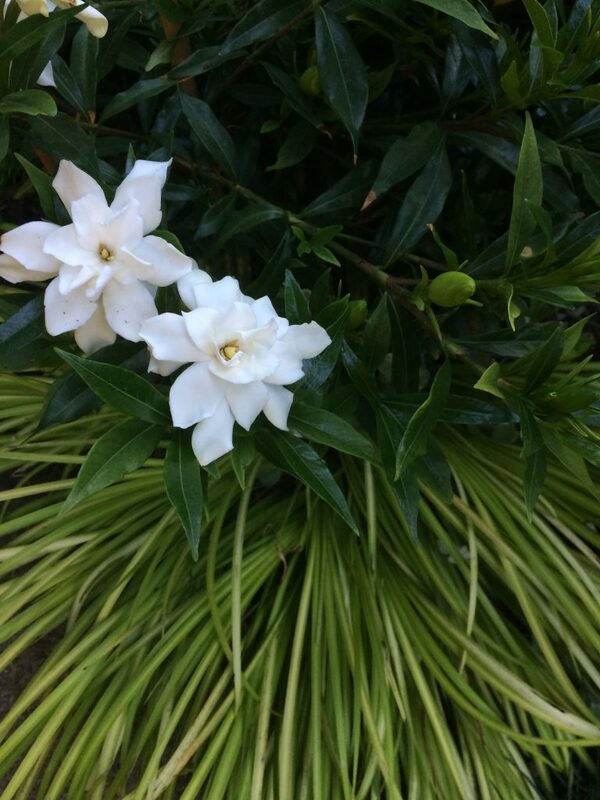 We’ve grown many “hardy” gardenias and many failed but this one is a bona fide success. Easy to grow shrub that blooms and thrives with correct care and its perfectly hardy to cold. To 3′ x 3′ in 5 years in rich, well drained, moisture retentive soil. 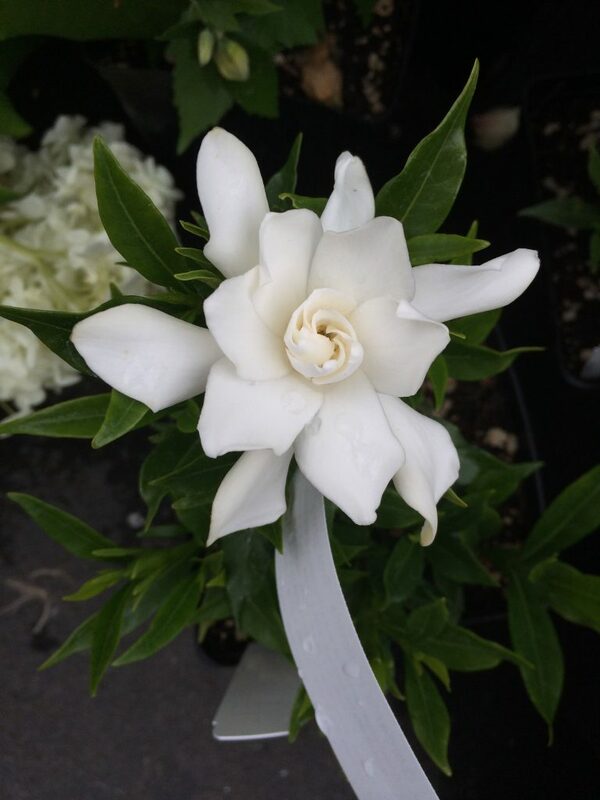 Fully double 3″ wide powerfully fragrant sweetly scented flowers appear in PDX from July to October. Slow but steady growing shrub. Never let newly installed plants dry out completely. Once established it requires the same water and care as a Kerume Azalea. Add a handful of organic fertilizer or cottonseed meal in early June prior to flowering. Perfectly hardy to cold in our climate and has naturally low heat requirements to bloom. Handsome evergreen shrub. We recommend ‘Frostproof’ for part shade as its flowers will last longer when not fried by hot sun.